Marigolds' Loft: Meet my New Button Swap Buddies! Tess is the owner and creator of The Framed Lady Blog. I love reading her blog, she always has great posts and is on the last leg of her first pregnancy, a couple of weeks to go, so it is great to read her thoughts and progress. On her blog she offers amazing tutorials as well as recipes and the like, really worth a visit. She also runs a great Etsy store that offers gorgeous headbands. Tracy owns the blog Crochet Happy which includes all things crochet! 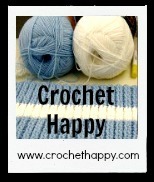 It is a wonderful resource for crochet lovers and a great place to start for novices. For those of you with designs and patterns of your own to share, she offers the option to submit your designs to be featured there. 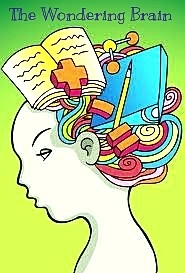 Jessica is the owner of The Wondering Brain Blog which is a great blog that she started to help her get over her writers block! She has a Favourite Posts Show Off Linky Party each Friday. Jessica is also taking part in Giveaway that kicked off on August 1st, so visit her blog to find out more! Thank you ladies for the awesome Button Swap it has been super! 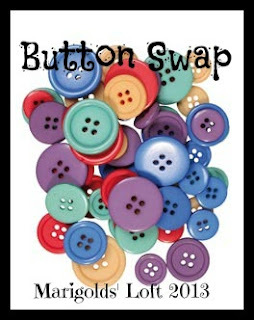 All Button Swap spots are still available for September, would you like to swap buttons with me next month?